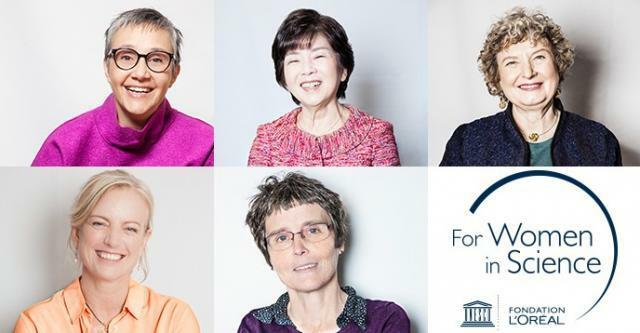 The L’Oréal-UNESCO For Women in Science Awards are presented every year to five women, one from each world region, in recognition of their scientific accomplishments. Each scientist has had a unique career path combining exceptional talent, a deep commitment to her profession and remarkable courage in a field still largely dominated by men. The scientific fields considered for the awards alternate every other year between life sciences and material sciences. In 2019, to mark the 21st edition of the L’Oréal-UNESCO international awards for women in science, the L'Oréal Foundation and UNESCO decided to reinforce their efforts to empower women in science by extending the International Awards dedicated to material science, which had focused on chemistry and physics until then, to two more research areas: mathematics and computer science. Authors and personalities: Najat Aoun Saliba, participant ; Maki Kawai, participant ; Karen Hallberg, participant ; Ingrid Daubechies, participant ; Claire Voisin, participant.